It was 10 years ago, in late 2008, that the UK got its first Low Emissions Zone, or LEZ. That was in London and it affected only buses and some commercial vehicles; passenger cars weren’t affected. Poor air quality was becoming a big problem for England’s capital and in a bid to do something about it restrictions were brought in for older, dirtier vehicles that didn’t comply with modern regulations. Those regulations are called Euro standards and in 2017 we produced an article that explains how they work. This article was then summarised later in the year when HPI launched its vehicle emissions checker, which allows you to find out what Euro standard your car was built to, just by typing in its registration number. The post also explains what Euro standards 1-6 actually mean. The problem is that in the 1970s a car was a relatively unusual luxury, but nowadays car ownership is much more common and we drive far more miles than we used to. 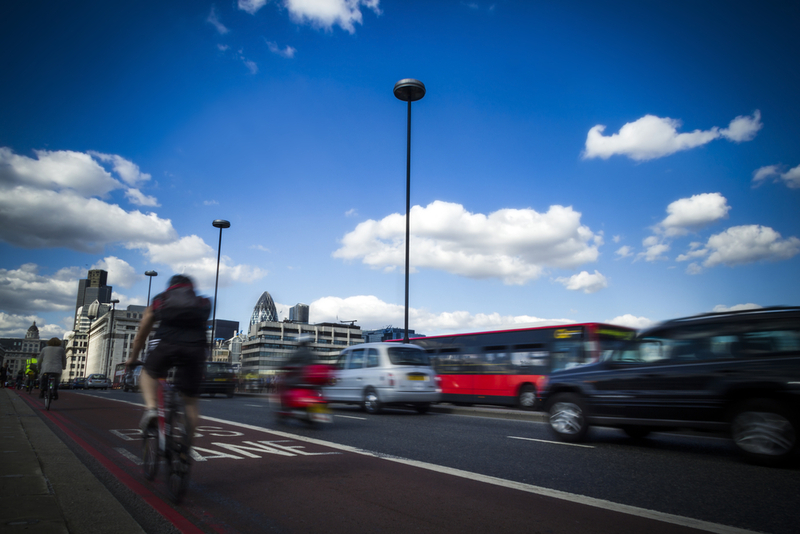 As a result, even since that first Low Emissions Zone was introduced in London a decade ago, air pollution has become more of a problem across the UK which is why an increasing number of local authorities are considering introducing their own LEZs, CAZs (Clean-Air Zones) and ULEZs, or Ultra-Low Emissions Zones. Because there are no set standards for an LEZ, CAZ or ULEZ there’s officially no difference between them; the first is supposed to be less stringent than the second but authorities can impose whatever rules they like and call their zones whatever they want. Indeed, in London there’s now a T-Charge (Toxicity Charge) Zone which covers the same area as the Congestion Charge zone that’s existed since 2003. This area will morph into a ULEZ in September 2020 and it will be expanded to cover a much greater area in October 2021. London is often seen as a testbed for schemes that are later rolled out across England, and while there can often be a delay of many years between the capital introducing something and other local authorities then adopting it, things are more urgent with tackling air quality. Environmental campaigners have resorted to the courts to force the government to clean up our air, which frequently fails to comply with EU regulations to limit the pollutants listed above. Stung by this legal action the government has told local authorities that they must come up with programmes (called Air Quality Plans) to ensure the air in their towns and cities complies with EU laws. This is why more and more local authorities are set to introduce restrictions on vehicle use in urban environments. Oxford City Council has already said that by 2020 some vehicles will be banned on some city centre streets and by 2035 all vehicles will be banned, creating the world’s first Zero Emissions Zone. While Oxford’s plans are likely to be more stringent than most, a lot of other towns and cities are set to start imposing restrictions on car use to improve air quality. Those restrictions might focus on a charge to enter the zone or certain cars might be banned altogether – at least at certain times. As already mentioned, modern cars are actually very clean – it’s the older ones that are the problem. Petrol-engined cars have been clean for a while but it was only when the Euro 6 standard was introduced in 2015 that diesels became as clean. That’s why when sanctions begin to be imposed it’s likely that they’ll affect all diesels apart from Euro 6 models while anything back to Euro 4 will probably be allowed if it’s got a petrol engine. This is how the rules in London will work; newer cars will be exempt from the charge while older models will have to pay to enter the zone (they won’t be banned altogether). Whether or not this has an effect on the values of older cars remains to be seen, but if you’ve got a pre-Euro 6 diesel and you have to commute each day into a ULEZ you might find that it’s cheaper to sell your car and buy something newer than to pay a daily charge. So if you want to know what Euro standard your car complies with, just enter your reg in the free emissions standard checker below. Use our free hpi emissions checker below to check the Euro emissions standard of your car. Disclaimer: This tool is intended for personal use as a guideline only. We rely on data sourced directly from our partners. However, we provide no warranty as to the accuracy of the information and accept no legal liability or responsibility for its accuracy. Older or more unusual vehicles may not be covered by this tool. If you have concerns about your vehicle’s emissions you should consult with the retailer or manufacturer for more information.